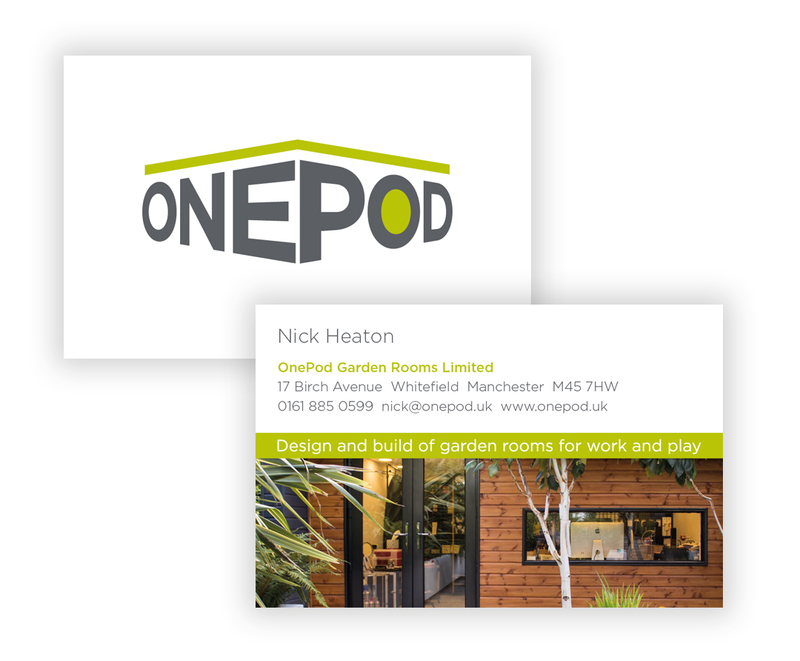 OnePod is a construction company specialising in the build of garden spaces. The rooms are built from SIPs panels which can be configured into almost any shape or size. 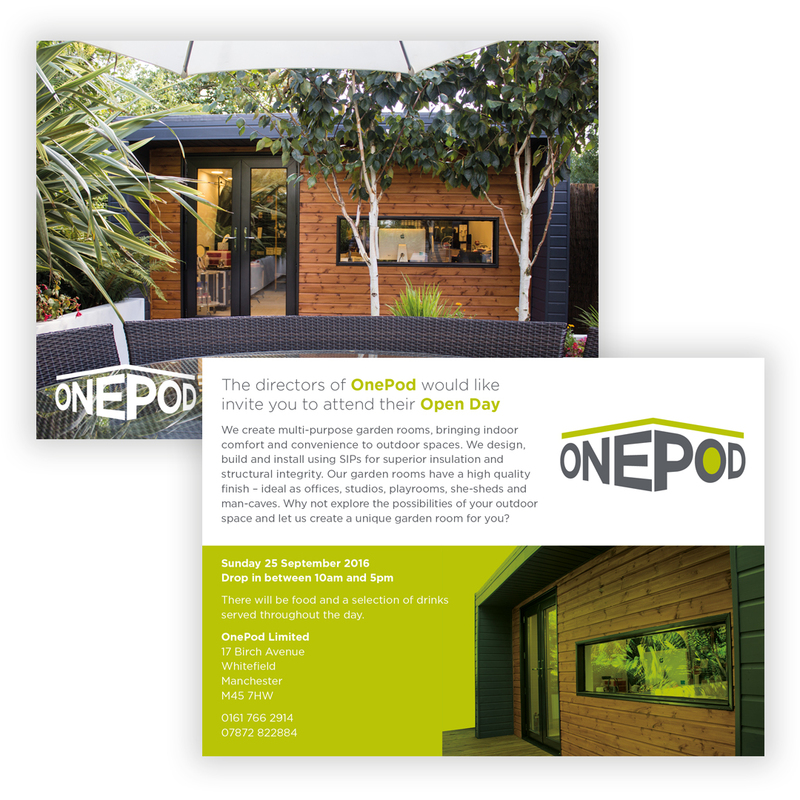 Reform was tasked with the branding, website, promotional leaflets, stationery and an open day event invitation. Reform was also commissioned to manage the brand building of the organisation through social media and events. 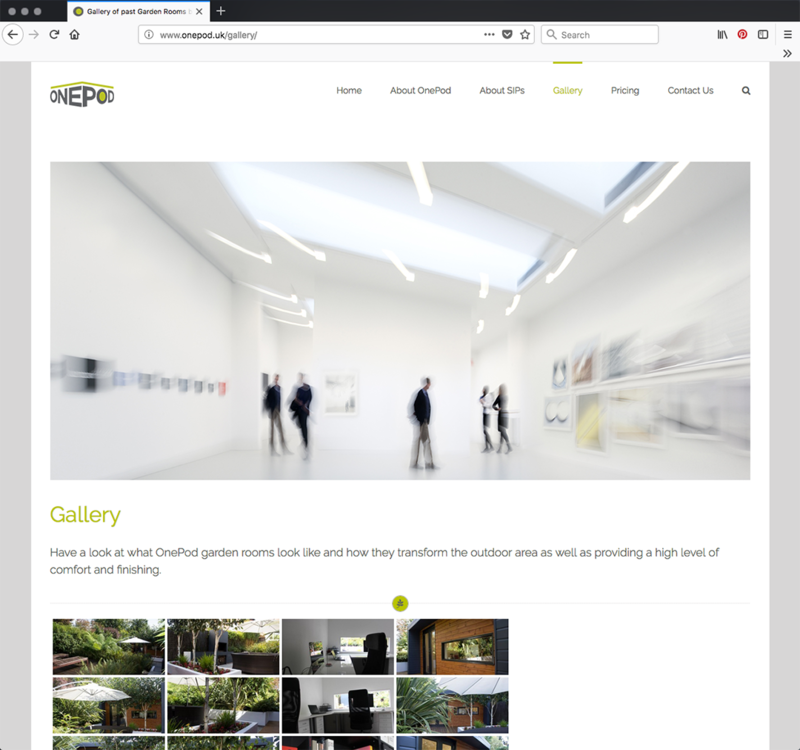 Through the use of colour, clear and legible typography, Reform created a look and feel for the branding, literature and website that was clean and professional. It was important we created a brand which suggested the company’s core values of flexibility, reliability and trust. The logo, which was a typographical answer to the brief, suggested a dynamic building structure. 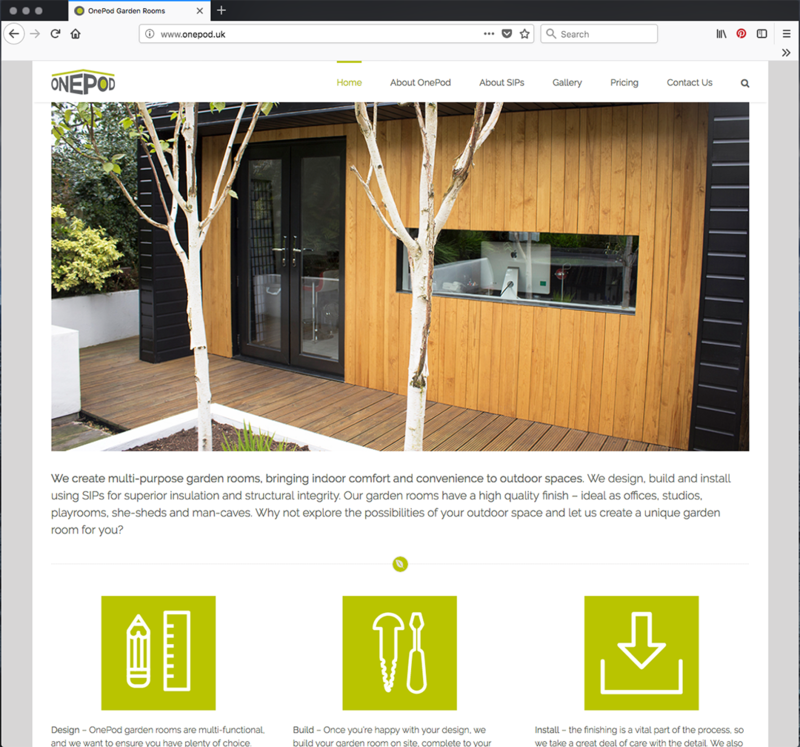 We also developed the strap-line ‘Design and build of garden rooms for work and play’ and delivered all the copy-writing.